Could a Daily Vitamin Pill Cause Skin Cancer? Millions of people who take vitamin pills could be putting themselves at risk of the deadliest form of skin cancer. Research has revealed that supplements containing antioxidants and minerals appear to increase the chances of developing a malignant melanoma. Volunteers given pills containing vitamin E, ascorbic acid, beta-carotene, selenium and zinc were four times more likely to get cancer than those who took dummy pills. The findings come from a follow-up study to one in 2007, which revealed the risks to vitamin-pill poppers. The results of that research, by French scientists, showed that out of 13,000 adults, those who took daily supplements to stay healthy were at much higher risk of skin cancer. To double-check their findings, the same team monitored patients for several more years. These results, published in the latest European Journal of Cancer Prevention, confirm that the increased risk virtually disappeared once patients stopped daily supplements. Now scientists behind the research, carried out at the National Centre for Rare Skin Diseases in Bordeaux, are calling for those most at risk of skin cancer -- fair-skinned types or those with a history of excessive sun exposure -- to steer clear of supplements. Women may be more at risk than men, possibly because they have more fat around the skin, where antioxidants and vitamins are mainly stored. Malignant melanomas kill about 1,700 a year in the UK and are the third most common cancer in those aged 15 to 39. Over-exposure to the sun's rays is the biggest cause. So far, the only proven way of reducing risk is to use high protection creams and wearing suitable clothing. But it had been widely assumed that taking antioxidants would reduce the risk, since supplements theoretically protect the skin against damage from the sun's rays. The study, however, suggests supplements have the opposite effect. Scientists do not think taking vitamins actually causes malignant melanoma, rather it somehow speeds up the development of a tumor. 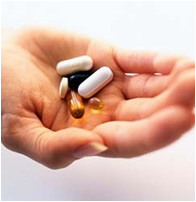 The findings are likely to heighten concerns about overuse of vitamins. Earlier this year, Swedish researchers found that taking daily multivitamin pills raised the risk of breast cancer in women by almost 20 per cent. It is estimated that nearly a quarter of all adults in the UK take antioxidant supplements or multi-vitamins on a regular basis. The market is worth about Pounds 500million a year. Dr Carrie Ruxton, from the Health Supplements Information Service, which represents supplement suppliers, said other studies had found no link between vitamins and skin cancer. She added the low number of skin cancer cases in the French research also cast doubt on the results. Cancer Research UK stressed that vitamins and minerals found in foods did not appear to harm skin in the same way. 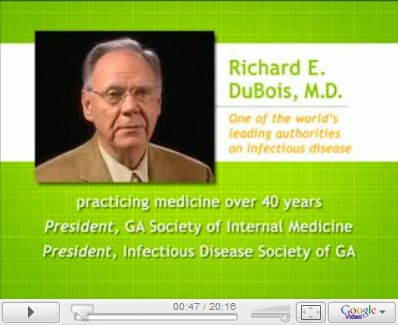 To fully understand the difference between traditional vitamin/mineral supplements and whole food (including Juice Plus+) please watch the video featuring Dr. Richard DuBois below.